Post in this thread and I will assign you an avatar! You do not get to choose the avatar, but it will be cute! I will also be giving out avatars without warning to those without avatars! I am typing every sentence in this post with an exclamation mark at the end! Here are two examples of recent avatars! This is what happened to forums user killing time! And this is what happened to forums user krtv! But you might not be a raccoon! Maybe I will give you something else! It is a surprise, every time! I thought there was too many racoons on this forum so I modified my avatar! We need a goat smiley on this forum to express the cuteness! Goats are cuter than racoons, goats forever! Comet_ wrote: Do your worst! I know OP says I don't get to actually choose. 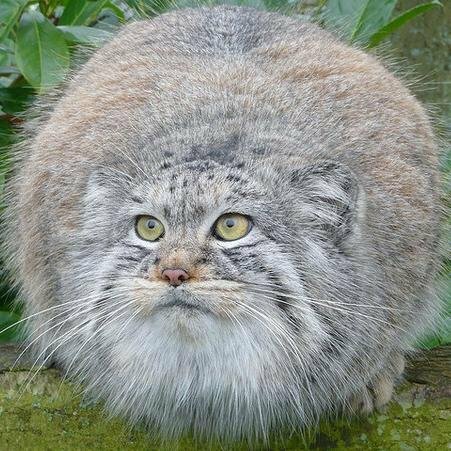 That said, I'd like to request a Pallas cat. Look at it, why wouldn't you want a Pallas cat? I bet Lecavalier~ never thought he'd wake up one day and become a desert-dwelling canine predator !!! SantaClaws now gets to be a weasel?! Rounding out the list is user aval88 who has become the graceful arboreal opossum !!! Thanks for bearing witness to this latest round of random animal avatars!